Working in the Communication & Education Division here at the State Historical Society of North Dakota, I find that a lot of people are looking for sources to learn more about Native American culture and history. However, they often aren’t sure where to start. People are really interested in this part of our state’s story, but often didn’t learn much, if anything, in school. Not that they remember anyway. I like to direct them to the Essential Understandings. A graphic rendering of the Essential Understandings found at teachingsofourelders.org. This is a relatively new resource from the North Dakota Department of Public Instruction available through teachingsofourelders.org. This website makes videos and other information available to classrooms across the state. The videos feature elders from each of the reservations in North Dakota being interviewed about tribal traditions, stories, and history. The site also has lesson plans developed and vetted in conjunction with the tribes. 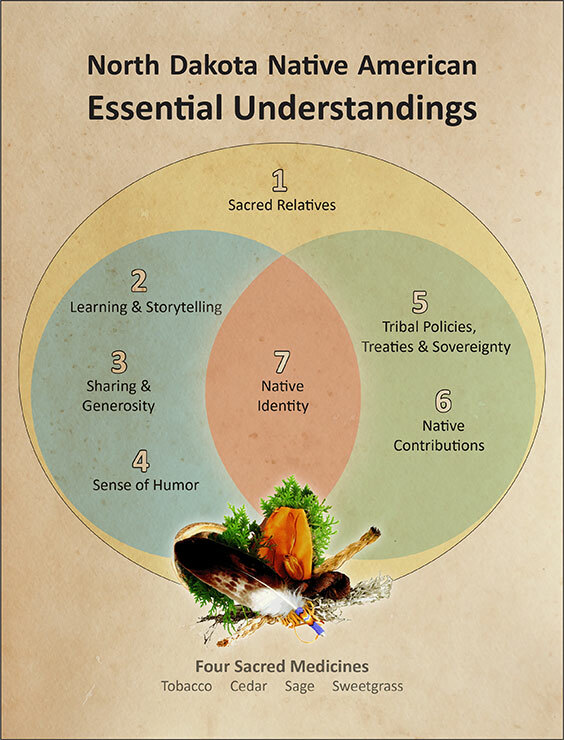 The Essential Understandings identify the primary themes that tribes and educators want to make sure to convey to all K-12 students. The idea is to make Native American curriculum integrated into all subjects taught in school from math to music to science and history. 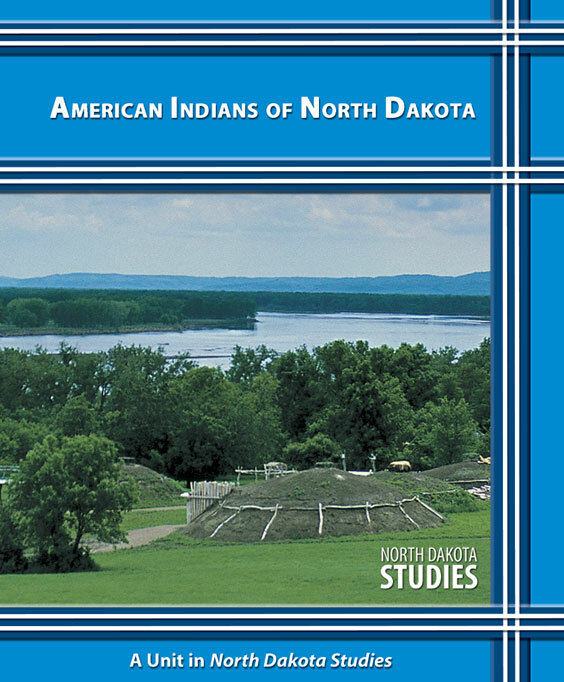 There are also great resources through the North Dakota Studies website where a person of any age or ability can begin to learn about the Native American tribes historically associated with what is now the state of North Dakota. The fourth grade unit for ND Studies is available at ndstudies.gov/gr4/american-indians-north-dakota. The eighth grade curriculum at ndstudies.gov/gr8 is also full of opportunities to learn about thousands of years of North Dakota history, up to the present day. There are also four digitized books covering each tribe that has a reservation based in North Dakota at ndstudies.gov/nd_indian_studies. These are all fantastic resources available free online through ND Studies at the State Historical Society of North Dakota. The fourth grade unit on American Indians of North Dakota. For learners with a more academic interest, the History of North Dakota by Elwyn Robinson is also available free online through the University of North Dakota at commons.und.edu/oers/1. Robinson is thought by many who study North Dakota to be one of the most influential scholars to tackle our state’s history. His interpretation continues to have a huge impact on how we think about the history and culture of North Dakota. 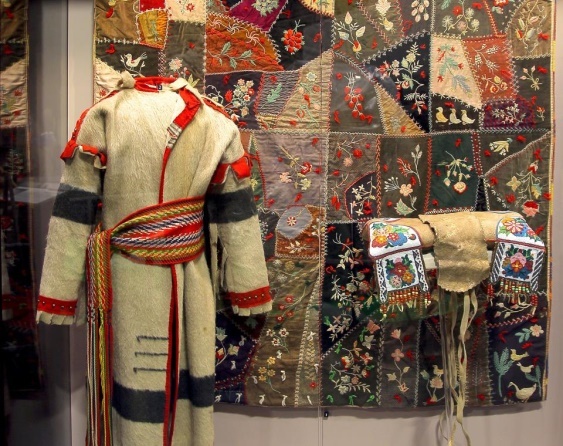 We also like to encourage visitors to come and experience the exhibits and programs at the 57 historic sites and museums managed by the State Historical Society of North Dakota, sites at a number of state parks, national parks, and the reservations themselves. The United Tribes International Powwow, held annually the first weekend after Labor Day in Bismarck, is an excellent opportunity to learn about the culture and history of tribes from around the country.